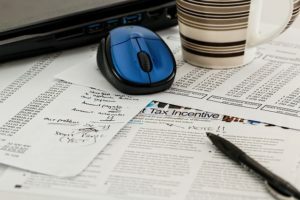 Benjamin Franklin said, “In this world, nothing can be said to be certain, except death and taxes.” Despite this truth, people keep trying to avoid them both. Unfortunately, many people resort to illegal means to avoid the inevitability of taxes. Al Capone – While he couldn’t be pinned down for any of his violent criminal activity, income tax evasion was how this organized crime boss was put behind bars. In 1931 he was sentenced and served 6.5 years. Pete Rose – This famous baseball player attempted to evade taxes by not reporting income from gambling wins and sales from memorabilia. He pleads guilty in 1990 and spent five months in prison. Willie Nelson – The IRS must have been at the top of their game in 1990. Not only did they get Pete Rose, but also Willie Nelson. The IRS discovered that the music star owed $16.7 million in unpaid back taxes. Ouch! He was able to avoid jail time by having the equivalent of a massive yard sale. Many fans purchased his things then donated the treasures back to him. He was able to pay the bill within three years. Leona Helmsley – The “Queen of Mean” New York hotel operator, was sentenced to 16 years in prison for a variety of tax evasion and fraud offenses. Nicholas Cage – The actor was hit in 2009 with a $6 million tax bill from back taxes. Although Cage blamed his manager and accountant, this charge goes to show you that it’s ultimately you who will pay the price for tax errors. Tax evasion and income tax fraud don’t just occur to the rich and famous. Many ordinary people with average income make the same mistakes; they are just dealing with fewer zeros. The IRS is not someone you want to trifle with. They will hunt you down and make your life miserable until you pay. 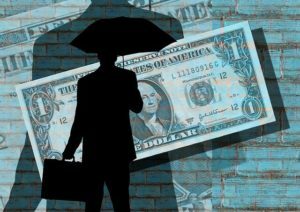 What can you do to avoid tax evasion and tax income fraud? Be honest about your earnings. Will the IRS come and get you for not reporting the couple thousand that you made at your side hustle? Maybe not. But one small lie can lead to bigger lies. Do all your tax reporting with integrity no matter how much you earn. Even if you trust your tax accountant, make sure you understand your tax return. Don’t just blindly sign it. If something doesn’t make sense, ask and get a second opinion if you still don’t think it is right. Protect your identity in order to prevent other people from filing in your name. Be careful about your name, date of birth, and Social Security number. Those are the only pieces of info that a criminal would need to file in your name and get the return that should be coming to you. Obtaining tax refunds using someone else’s identity seems to be getting worse each year. Be wary of phone calls claiming to be the IRS. The IRS never calls you. They do all their communicating in writing. And, yes your heart will skip a beat when you see that letter for the IRS in your mailbox. It’s normal. Keep your personal expenses coming out of your personal accounts and keep your business expenses coming out of your business account. Keeping the two separated not only makes your finances simpler to manage, it also keeps the accounts away from the appearance of tax fraud. No one enjoys paying their taxes. 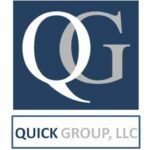 If you suspect that you have been a victim of tax fraud, or if you are questioned by Criminal Investigation (CI) Special Agents of the IRS, please contact Quick Group. We can use our investigative skills and years of IRS experience to get the information needed to make things right.